oil and next time will try in air fryer. Wash and boil the lotus stems and potatoes separately. mixer and grind to a coarse paste. leaves in paste and mix well. Add breadcrumbs and mix well. stem mixture into equal portions and shape them into tikkis or kebab. golden on both sides. Arrange the kebabs on serving platter with sauce or dip. 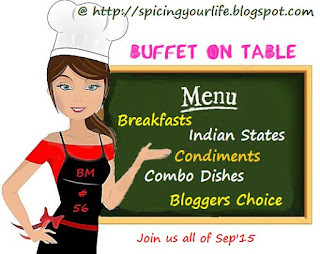 stem recipes, bloggingmarathon, simplytadka, vegetarian recipe, fried recipe. Nice presentation and lotus stem kebab looks scrumptious !! Delicious and very interesting kebab, cant wait to try. My family is crazy about these kind of kebabs..Shall try it soon. am yet to cook with lotus stems altho I buy it from the market :-)) these look good ! That's so well presented Preeti..I am yet to cook with lotus though I have so many bookmarked! Never tired anything with lotus stems. Great recipe share. Sounds interesting..Never tried any recipe with lotus stem,yet to try this ..
Yummy looking lotus stem kebabs Preeti. Beautifully presented preeti. We loved nadru when vaishali had brought it. Unique way of using lotus stems. The kebabs look so yum.. Somehow the pictures are not opening but going by your recipe, that kebab sounds delicious.